Resources for feral and stray cats and other pets. These sites offer the most comprehensive directories of animal shelters. If you're looking to adopt a cat or if you found a stray and want to find local help. Click around below. Want to find or post a rescued animal? Looking to start a Trap Neuter Return (TNR) program in your area? Do you want to volunteer or start a group in your area? Use the resources below. Want to start your own non-profit humane organization / charity / rescue? Head to the IRS' helpful non-profit page for info on what paperwork to file to apply for non profit status. Also, there's a phone number if you want someone to walk you through the process--no charge! Start an organization today. A healthy kitty is a well cared for kitty. That doesn’t mean taking the cat to the vet every time it sneezes, however. Most of your cat’s health care can happen under your own roof, although you might need to be your own proactive vet. Petmeds is a helpful blog that can help you learn to take care of your pets health problems yourself much more affordably and conveniently than running the cat to the vet with every sniffley nose. The site also features pet meds for much cheaper than you’d ever find in a pet store or vet clinic. No matter what you need, you can find any medication without even leaving your home. Keep up on your pets health with products that range from flea removal to diabetes treatments. The blog is helpful in teaching you about all types of your cat’s health, from why it might be sneezing to how to deal with peeing problems. No, it might not be peeing just because it hates you. Surprisingly, it’s often a health issue, possibly a urinary tract infection or a symptom of aging. The blog has posts on gastrointestinal diseases in cats, as well as tips on how to benefit the cat’s health, from grooming to feeding it medicine. The site also features tips for different breeds of cats and how to care for them. It goes through a list of what symptoms may mean what illnesses and what to look out for. Having a host of pet meds on hand that’s widely available is very helpful. It’s easier to treat an animal if you can order a remedy while your thinking about it with the cat on your lap. You don’t have to worry about getting to the vet or visiting the pet store. In addition to medicine, Petmeds also features some fun for the kitty as well. You can order a whole range of cat toys that are sure to thrill your cat. 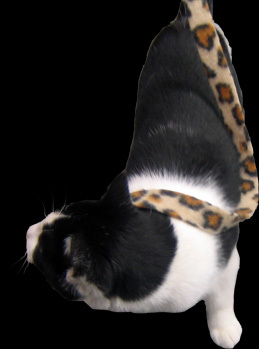 There are even fashion accessories for the perfect kitty collar that will dazzle the entire neighborhood. Don’t forget their host of scratching posts. Why not give your couch a break with a scratching surface that will ease your mind as well as the cats?